Providing Affordable and Effective Spinal Decompression. Feel free to browse through the information provided and watch the videos explaining the benefits of spinal decompression and how spinal decompression works. 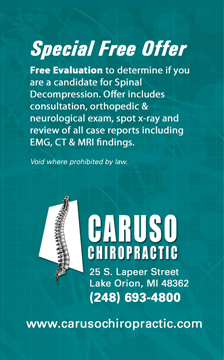 Learn how AccuSpina Spinal Decompression can HELP YOU get rid of your PAIN! IDD (Internal Disc Decompression) Therapy® is a proven treatment for the relief of lower back pain. With an up to 86% success rate, thousands of patients have experienced dramatic pain relief and healing. IDD Therapy® is non-surgical, non-invasive, and drug free. The treatment is not only safe and painless, but also comfortable and relaxing. The course of therapy includes approximately 20 treatment sessions and is completed in about 6 weeks. 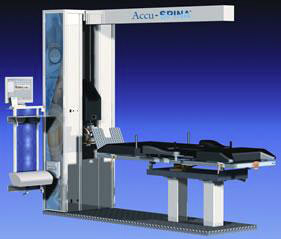 Each procedure is performed with a patented Accu-SPINA decompression device. The treatment sessions are brief, lasting approximately 20-30 minutes. And because the procedure is non-invasive, most IDD Therapy® patients can carry-on with normal daily activities. How does IDD Therapy® work? IDD Therapy® can isolate each lumbar vertebrae (L1, L2, L3, L4 or L5) and distract the vertebrae surrounding an injured disc 5 to 7 millimeters. The 20 to 30 minute treatment provides static, intermittent, and cycling forces on structures that may be causing low back pain. During treatment, intradiscal pressure is dropped from +25 millimeters mercury to -150 millimeters mercury. This negative pressure promotes the diffusion of water, oxygen, and nutrients into the vertebral disc area, thereby re-hydrating the degenerated disc. Repeated decompression promotes retraction of a herniated nucleus pulposus (the elastic core of the intervertebral disc). promote self healing and rehabilitation of damaged discs, thereby relieving low back pain. Several sessions are required to achieve optimal results. IDD Therapy® is credible. It is the only treatment that was developed by a team of back specialists including neurosurgeons, orthopedists, physiatrists, osteopaths, chiropractors, neurologists, and physical therapists. IDD Therapy® is proven and effective. The procedure has been studied extensively over the past six years and has been clinically validated. Thousands of patients have been successfully treated with IDD Therapy®. IDD Therapy® is cost-effective. The cost of treatment is minimal compared to the cost of surgery. Financing is available for those without insurance or with less than comprehensive insurance. Several payment options are available, which can be a much better financial decision than a 10% or 20% insurance co-payment on back surgery. North American Medical Corporation http://www.namcorporation.com/ has developed the AccuSpina IDD system, which is used to treat patients suffering from severe lower back and neck pain. Click on the video below showing how a Lumbar Fusion is performed. Caution this is actual video footage of a surgery.